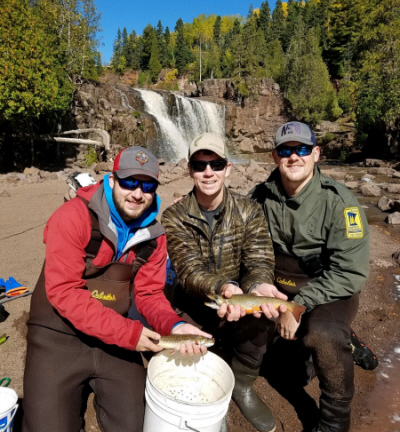 Lake Superior Area and MNDNR has formed valuable relationships with anglers over the past two years through the Steelhead Genetics Project. 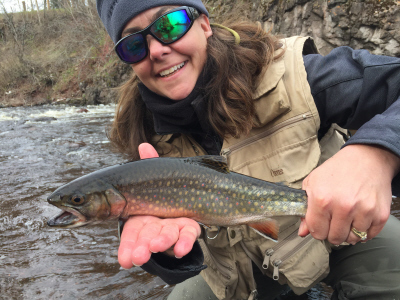 They are continuing to utilize these terrific angler relationships to expand knowledge of a Lake Superior native fish, the Coaster Brook Trout. Coaster surveys have been completed by MNDNR Fisheries every 5 years since 1997, and a survey will be completed in fall of 2018 (see 2017 Lake Superior Management Plan ). 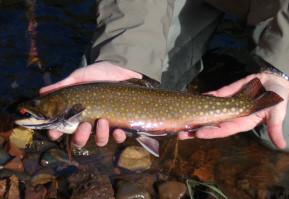 Samples collected during these surveys found that Minnesota Brook Trout are genetically distinct from other Brook Trout strains in Lake Superior ( Burnham-Curtis 2000 ), and that hatchery strains can be distinguished from wild strains ( Miller et al. 2016 ). The purpose of this page is to provide an easily accessible Coaster Genetics Project (CGP) resource center for the volunteer angling team, inquisitive anglers, media, like-minded organizations, and researchers. 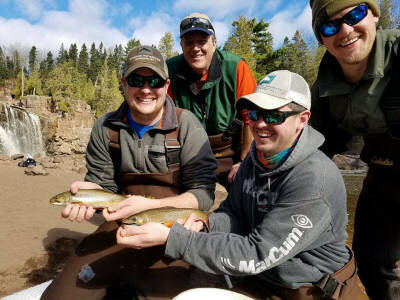 This page is supported by volunteers from, Minnesota Steelheader, The Greater Lake Superior Foundation, MN Trout Unlimited, and MN DNR staff at French River. 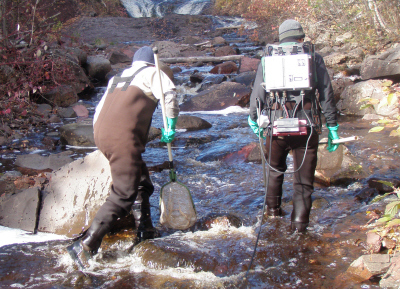 In 2018, DNR staff will collect non-lethal fin clips for ongoing genetic monitoring and to determine the genetic contribution from coaster hatchery strains and Splake (Brook Trout X Lake Trout hatchery hybrid), which is a growing concern among Lake Superior management agencies (Ferringa et al. 2016). 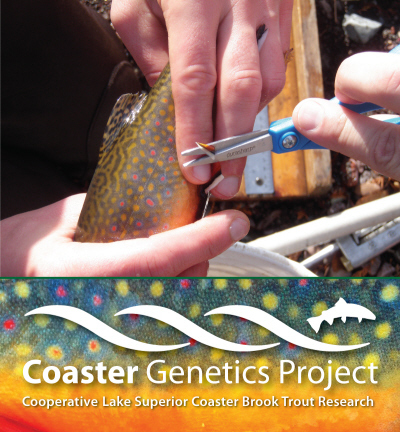 Our genetic evaluations will meet multiple objectives defined in the MNDNR Lake Superior Management Plan for Coaster Brook Trout, help monitor impacts of various stocking strategies by other agencies, and support research by other agencies on coaster Brook Trout in Lake Superior. Previous DNR Coaster Brook Trout surveys have highlighted sampling biases whereas sampling was only possible under certain river conditions and most streams were sporadically sampled one or two times in the fall spawning season - and no other times of the year (Tillma 1997; Pranckus and Ostazeski 2003; Ward 2007; Ward 2008; Blankenheim 2013). 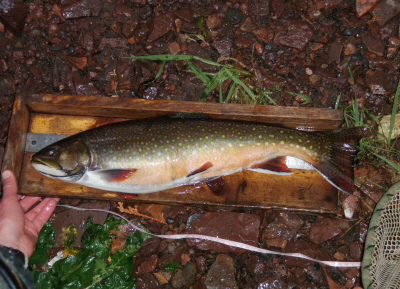 When multiple EF assessments were completed the same fall on one stream, abundance estimates were often very different and previously sampled Brook Trout were often not recaptured (known from a fin clip applied in first sampling effort), which likely indicated movement out of the stream or mortality among sampling events. Determine the genetic contribution from hatchery strains of coaster Brook Trout and Splake (Brook Trout X Lake Trout hatchery hybrid) in Minnesota's coaster Brook Trout populations. Genetic Profiles of Selected Brook Trout Populations from Minnesota Streams Tributary to Lake Superior. The Brook Trout illustrated here is so incredibly scientifically accurate, right down to the scale size, placement, and amount. This illustration and hundreds more have been beautify created by Joseph Tomelleri. Learn more about Joe, his passion, and how to purchase your favorite image. 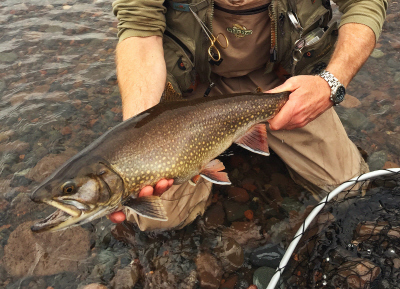 The life-history, genetics, seasonal movements and habitat use of coaster Brook Trout in Lake Superior is not well understood, particularly in Minnesota waters. Those dynamics, combined with sampling gear limitations, make some question if alternative sampling methods could supplement standardized MNDNR fall electrofishing assessments. 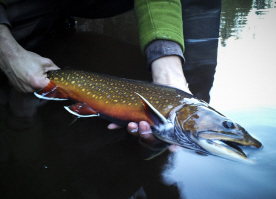 Incorporating alternative sampling methods (e.g., angling) could better describe coaster Brook Trout dynamics in Lake Superior, and help monitor coaster Brook Trout rehabilitation efforts in Minnesota waters. 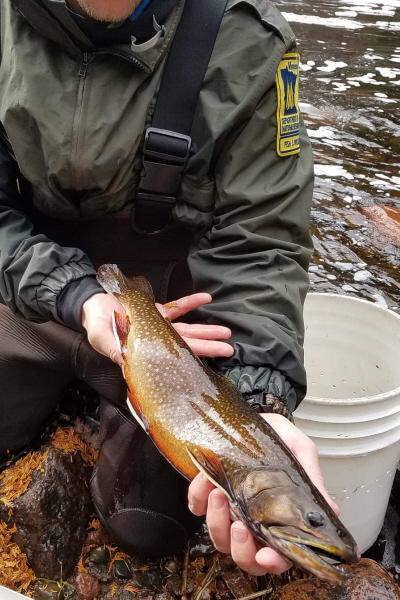 In coming years, anglers will have the opportunity to work with MNDNR to collect non-lethal fin clips from Brook Trout they catch in Minnesota waters. 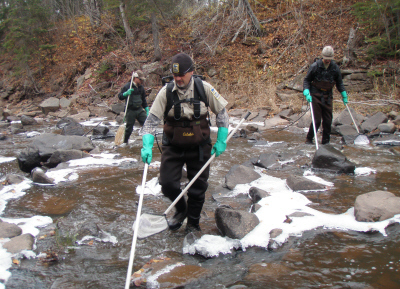 Anglers' samples will supplement samples collected by MNDNR in coaster Brook Trout assessments and help answer other questions not described here. 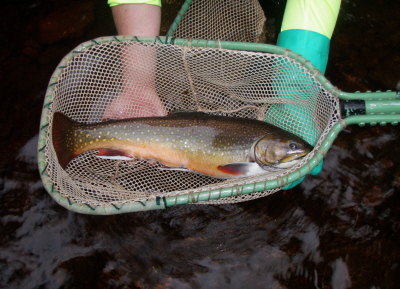 The MNDNR will determine if the volunteer angling program will be a useful tool for future DNR coaster Brook Trout assessments based on angler participation and samples provided in coming years. 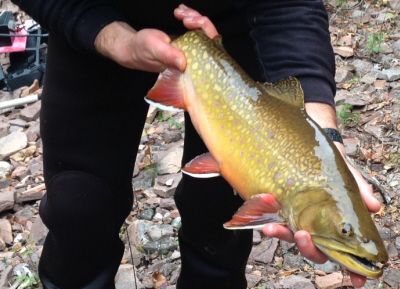 Most North Shore streams have areas that cannot be sampled safely and efficiently with backpack electrofishing gear (i.e., below a large barrier falls), and these areas are the most likely places where large coaster Brook Trout would reside. 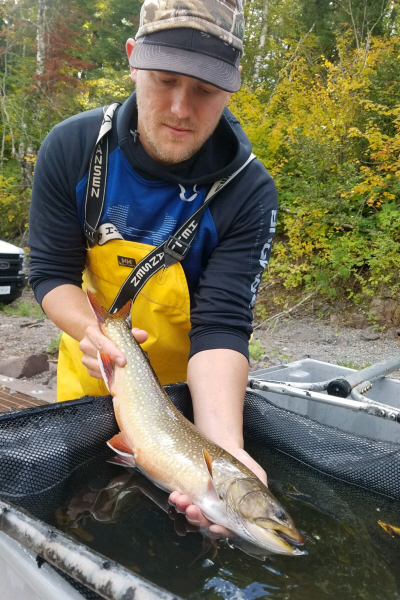 Few large-sized (>18 inches) coaster Brook Trout were captured in previous MNDNR fall electrofishing assessments, and the biggest fish captured were mostly hatchery origin (Miller et al. 2016). 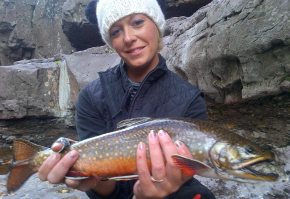 Anecdotal reports and pictures provided by North Shore anglers indicate that large Brook Trout (maybe hatchery origin? ), are captured by anglers in the areas previously described throughout the year (N. Peterson, MNDNR, pers. comm. ).